Happy New Year Guys ^^ This theme is my first release in this year . 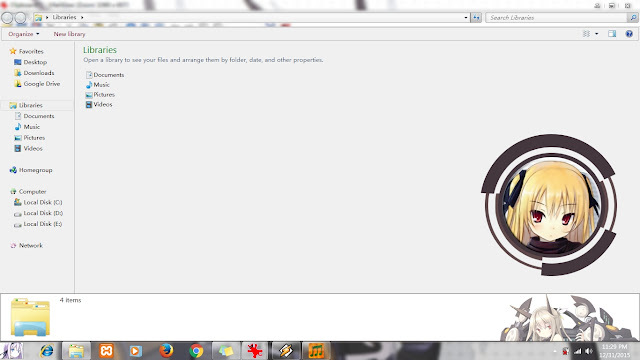 Actually ,i'm modified a lot theme chain saw girls theme beta version. The update in this theme following : Change start menu design,Enable transparency in taskbar,Change Explorer background and Change Control Panel header background, New Wallpaper,Change icon size to 256 x 256 pixels and Change footer in the explorer. 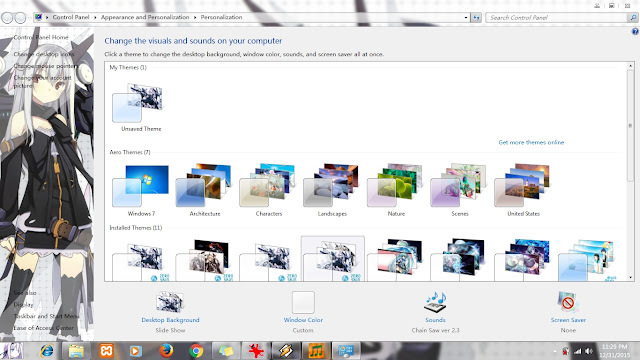 I'm highly recommend to install this winamp skins if you installed this theme in your desktop. 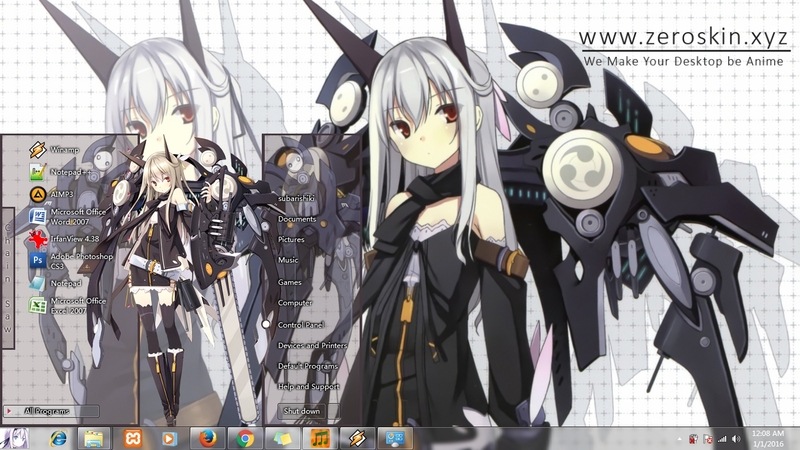 Your desktop be perfect if you installed that skins in my opinion. Last,Happy holiday and downloading. gan ane dah patch win 7 ane tapi pas masang tema win nya jadi kya win xp gtu taskbarnya ntu kenapa y?